I know it's been a while since my last post and have been tinkering but it's mostly been just that. Tinkering and such and not complete projects but I hope to start doing at least one craft a week again. I thought I would start off by posting this Gift Box. It's not very involved but I do like the way it turned out. 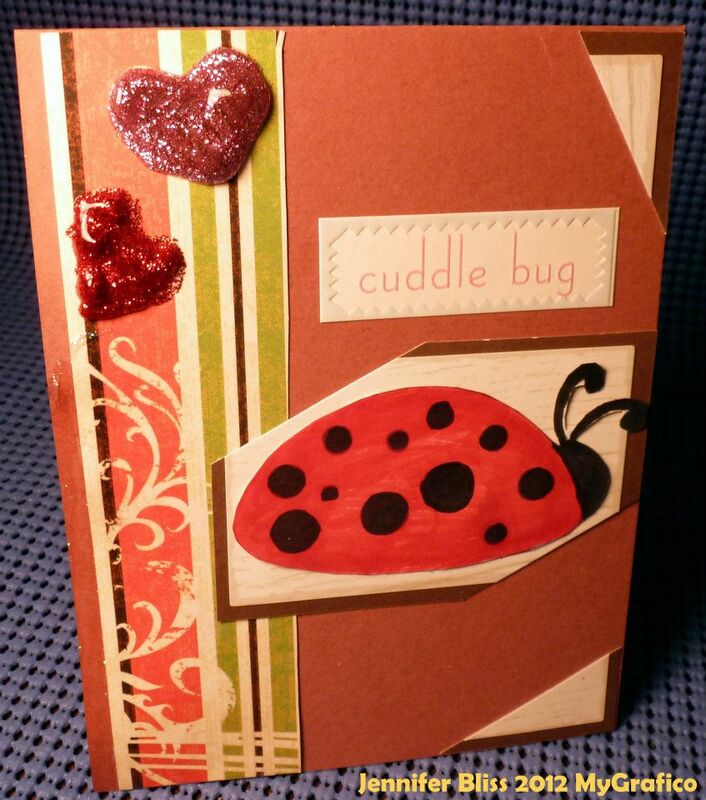 I used a punch-out box template and used decorative tape on the to and bottom...I do LOVE these patterned tapes! Then I took a fanned embellie with a little gem in the middle and placed it in the center. Some of you have been asking me via email where I have been. Well, I do post most days over at My Blissful Journey. I would love for you to join me over there. And we update at least 2 to 5 times a day over at Sororitea Sisters, too! I really AM eeking my way back into crafting! I started playing around with my inks again the other day! It's the small things we sometimes overlook trying to get all crafty and creative when a simple and easy solution is right in front of you! In this case...thread, string, fiber, strands of stuff! Changing the color with just a squirt of ink! And I continued to play with my inks here. Even tho I went thru a lot of it...it was fun...and I'm in the process of working with it for a project. This is the before! Hello there! It's been so long! WHY? You ask...well, I let people get to me, I let life get crazy, and I got lazy! In short, that's what's been up, I suppose! But...it's a new year and I decided to make some changes! I'll be crafting for ME. Not necessarily for others. I'm renaming this blog! It will now be called Blissful Crafting Place. I purchased the dot com, too! So regardless of what you type in it will all meet here! The FWD seems to be working well so I am going to do that for another one of my blogs, too! I have been Blogging over there a lot more lately, too, if you want to check that out it's located at http://blissfulyogajourney.blogspot.com but soon it will also be available at http://myblissfuljourney.com. Just a quick check in but I will be easing into crafting again and posting here as often as I can but I will be an almost everyday poster over at the Blissful Journey Blog, too! Stop by when you can! Here's my project for our newest challenge over at Chalk N Stock! Check out our site and play along! You may just be a winner! 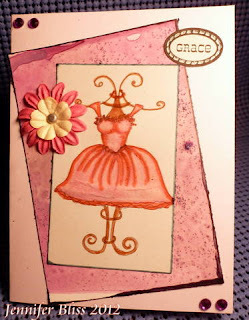 I used various chalks, inks, craft markers, "grit" such as glitter to create a grungy background which is tilted and underneath the digi stamped image here. I added some bling and florals and a brad and sticker. I outlined the top two layers with ink from heavier markers such as metallics! I really LOVE my crafting sisters and I really LOVE Chalk! As for this project I used powder chalked - REALLY watered down and mixed with a very little bit of Ranger Alcohol Ink. I watered it down again and just let it run down water color paper. As the liquid ran and set and ran and set it changed color and shades. I really like that feature of this method! It's sort of abstract so I kept it that way and added a vellum sticker. I figured 'less is more' in some creations, right!? I know I have been MIA the last few weeks but I am finally back to crafting! I'll have some different sort of projects coming up soon but I will still be doing the CHALK projects, too, as you see here! Over at the Chalk Challenge - this theme - is FUNNY! When I saw this Digi Stamp Set I KNEW I had to get it! It is TOTALLY me! I colored the image with various craft markers but the CHALK is the Orange-ish type paper inbetween the greens. I used dry chalks to create a colorful/shaded background and sprayed it with water and let it dry. Here's the inside of the card. I usually leave my insides blank but I felt this worked better on the inside VS cluttering up the outside and interrupting the digi image! We also worked with the Riley Stamp Co this week, too! They have some awesome Rubber Stamps! This is one of them! They are really pushing the holidays and festive time of the year with their seasonal theme Moose Images! I love this MUMMY! I also used Chalk in this project! Can you find it? 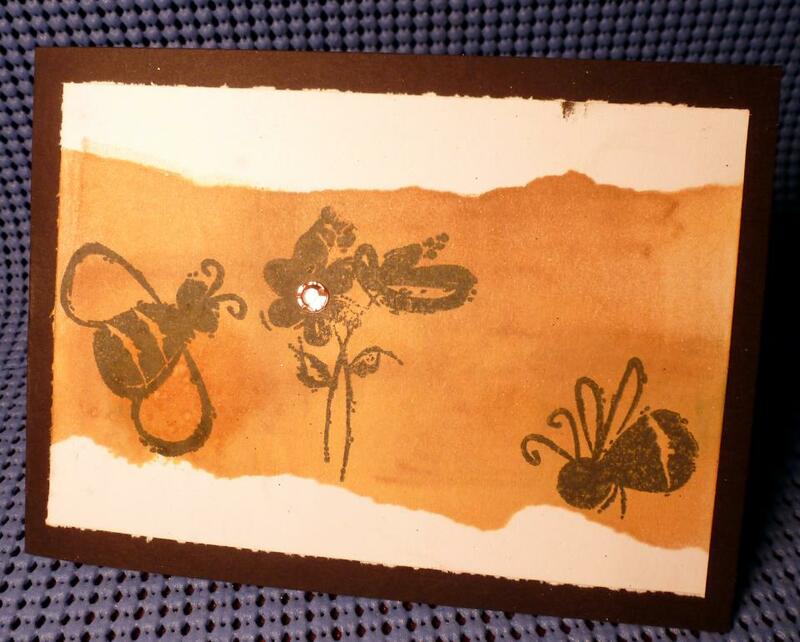 I combined chalk powder from Stamp N Plus Scrap N with Alcohol Inks and Water as well as very fine glitter to give the strips a texture and almost a marble look to it. I also did the same with the paper under the moose image. To color the Moose Skin/Fur under the Mummy Cloth I used Smooch (Mocha). 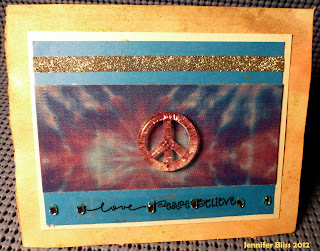 I found a really OLD Scrapbooking Embellishment - I think it's been in my stash for 10 years - and added it to the inside. Make sure you jump over to the Chalk Challenge and play along! I hope you enjoyed my projects! I've been having some issues with Blogger lately and a few of my posts are vanishing randomly. Oye! These first two pictures are from last week's MyGrafico DT Posting. 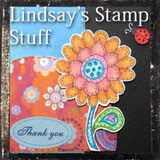 They are Digi Stamps from one of my all-time FAVE Sets from Lindsay's Stamp Stuff! This one below is for this week's MyG DT Project! I decided to do a Virtual Tea Label for and Upcoming Signature Blend over at Adagio using one of the clipart images from this week! I manipulated it in the new Picasa. It was FUN!!! Then, below, I'm reposting my Chalk project from last week - I'm really not sure what happened! I do have another project posting for tomorrow's Chalk Blog, too! Where's the chalk - you ask? I made my own designer paper again! Out of various chalks and inks along with Perfect Pearls and Water as well as glitter! 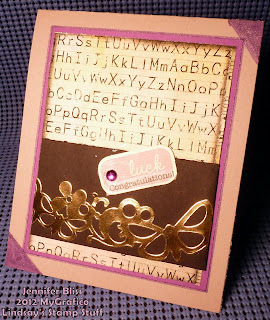 I also used those chalky Perfect Pearls for the coloring in the stamp, too! Hello! Hello! Peace, Love, and Chalk friends!!! For today's Chalk project I made this card! 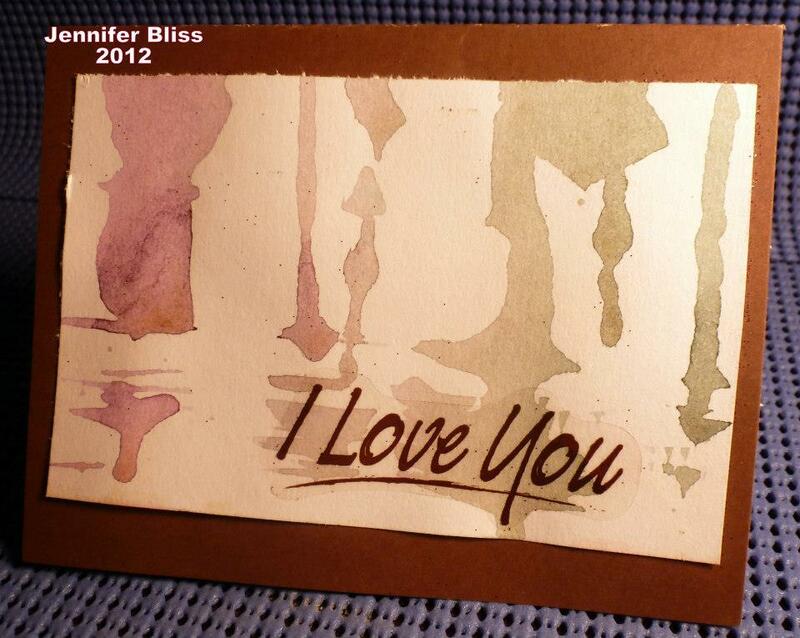 The bottom layer of the card is made with solid and powdered chalks, inks, and water. 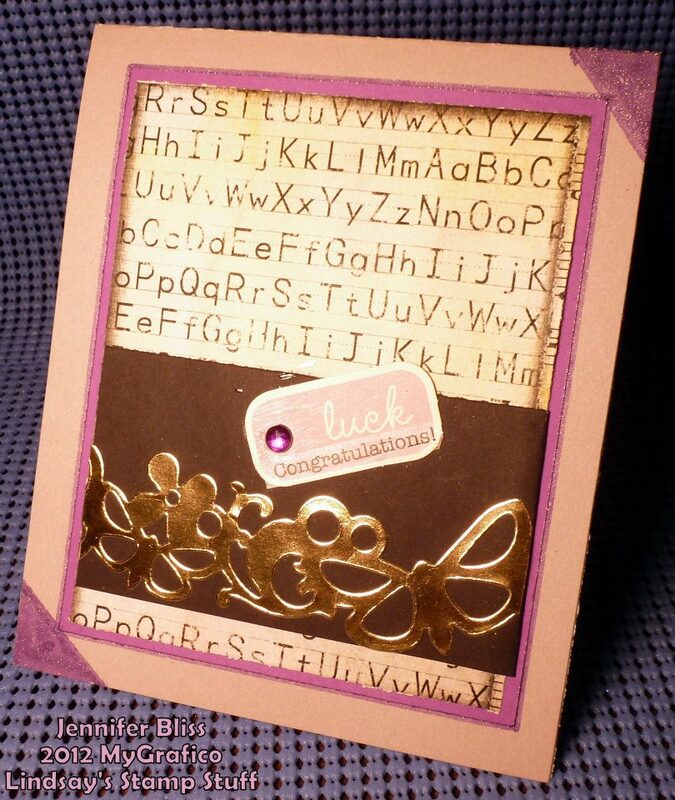 I also used Magic Tape - the thinner size - and dusted fine Glitter over top from Stamp Affair. It stuck on there PERFECTLY! It was a lovely surprise of an outcome to that little experiment! Sticko came out with glittery peace signs so I used one of those. And the tye-dye backing is actually one of the NEW Designer Duct Tapes! I LOVE it! I have 2 different tye-dye prints of tape from Duct Tape! 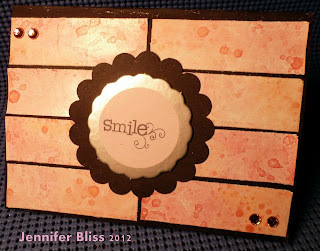 I also used Martha Stewart Gems and Vellum Stickers in this project, too! It's been a while since I have done a project just out of pure fun...the projects I usually post are to meet a deadline for a team I'm on or a challenge I'm entering - usually. 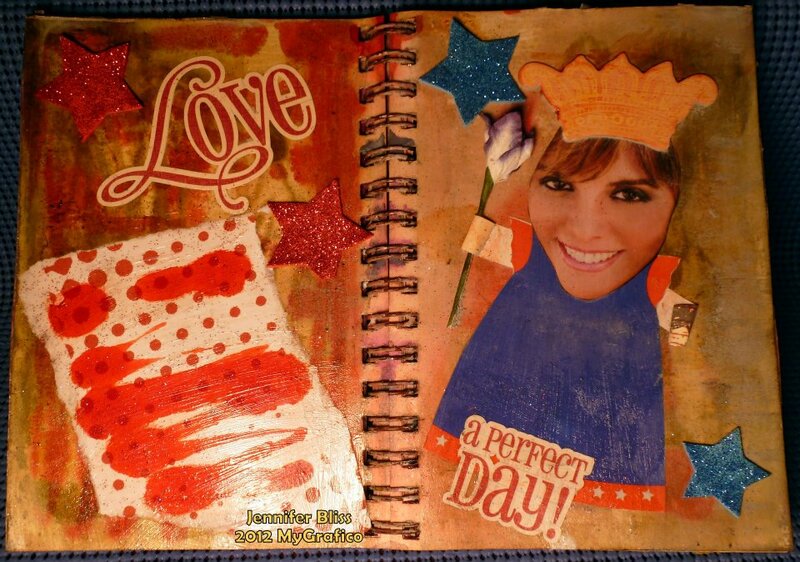 I did this Art Journaling Page just for kicks. I still consider myself at the beginning stages of Art Journaling or Junk Journaling...but I am enjoying it and having fun! I would also like to dedicate this project to Jade. Jade is the daughter of one of my long time online friends and she is a very creative, compassionate, beautiful young lady! Both her and her mother are wonderful women and awesome artists! I always enjoy seeing what they come up with next! This project I did with Gesso, Modge Podge, Ranger Alcohol Inks, Prismacolor Craft Markers, Powdered Chalks, various stickers, and a clipping from a magazine ad. Can you guess who it is? U R U - Shine! Lindsay's Stamp Stuff's School Papers Set over at MyGrafico - YUP! I'm continuing to work with this set! I also have several Art Journaling Pages at least started! Today I would like to share this one with you! I like to call it U R U - Shine! I did several layers of inks, chalks, gesso, modge podge, papers, glue, glitter, tape, etc. As you can see I used a head from one magazine ad and added it to another body. Here's an INSIDE BIT...the body is CARROT TOP! LOL I like to think of this as complex, conflicting, unique and both a little masculine and a little feminine - kind of like me - as I am not much of a girlie girl! Here you can see one of the papers I used from Lindsay's set. I also FINALLY used this large grungy flower embellie I think I have had for nearly 6 years! And here's another paper of Lindsay's! And these next several pics are from unfinished pages I am working on also using Lindsay's Papers! The one above is on a lighter colored paper/mixed media background. As you can see I have these papers going every-which-way! This is another one and I used a scraping technique to blend this paper with the other papers and inks and gesso and let dry. And this is a darker and grungier background type page I am starting using her papers - so sorry it's hard to see the paper in this one, but you got the idea! I really LOVE grunging these out! 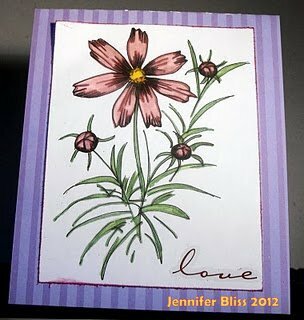 I will be researching Art Journaling Prompts, soon, too! Hello friends! Jennifer, here! Typing to you from a Tim Hortons - because my home internet is on the fritz! 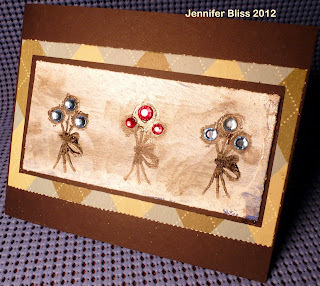 It's my day to post a project to the ChalkNStock Challenge Blog and here it is! This week I did a tag! I gave it a distressed look using Range/Tim Holtz Alcohol Inks, Water, Powdered Chalk from Chalk-Ah-Lot, Modge Podge, a Vellum Embellie, Foam Glitter Stickers I found at Walmart, and a little more Ink! Here's another look! You can see the colors in a different light here! I already have next week's project done, too! I hope you will visit me again next Tuesday! This week I did an Art Journaling Page for my MyGrafico DT Project! I'm getting more and more into Art Journaling and Junk Journaling. It intrigues me! There is no 'wrong way' of doing it! I LOVE that! I used LOTS of different mediums, mixed media, elements, etc with this project including: various cardstock and designer papers from several companies, Foam Glitter Stickers I found at Walmart, Basic Grey Cardboard Chipboard Elements, Die-Cut Phrases - the brand name escapes me at the moment, Ranger Alcohol Inks, Gesso, Modge Podge, various solid chalks and powder chalks,water, glitter, a few acrylic paints, magazine clippings, a flower Embellie from MFP, and of course...one of the shirts/dresses from MyGrafico! I was really trying to think out of the box for this week! What do you think!? Fourth of July Party by Riefka Design to be exact! Hello! Jennifer, here, posting on a Tuesday for Chalk N Stock! Today's project I was just WINGING IT! By that I mean...I made my own stencils and color for this project! I took a piece of paper and tore it by hand and covered the top and bottom of another piece of paper. I then used Ink Pads, Powdered Chalk from Chalk-Ah-lot, and Ranger Alcohol Inks to create the middle section of color! I blended the mediums together to give it a textured look. I stamped 3 images from a Close To My Heart Acrylic Stamp Set. Once it dried I added a gem. A bit different for me...but...I have been getting into a bunch of different crafty things lately and I have LOTS of projects that are partially finished and/or drying...so stay tuned! Thanks for visiting! This week the MyG DT used on of Lindsay's Stamp Stuff Sets that I just LOVE! You've seen me use it before and I am sure to use it again! This week our team worked with the Graduation Time of Year! I did a Good Luck/Congrats type of card! I used one of the set elements and edited slightly in Picasa then printed and used a powdered chalk and hairspray mixture to spray it and make it look slightly aged yet shiny! I added a metallic border and a tag as well as a gem. 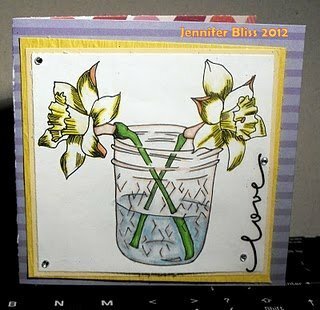 I used old paper and cardstock from my stash as well as gel pens and free hand around the mate/frame and corners. Chalk N Stock #1 - Join Us! We all are so excited to start challenges here. The rules are going to be super easy for you! You can use any images and any chalk! But you must use chalk on your project in some way!!! Stamp sets, digi sets, chalk, supplies and more! For our first challenge we wanted to do a fun challenge everyone can take part in! She is providing us with a $10 gift certificate to this months winner! 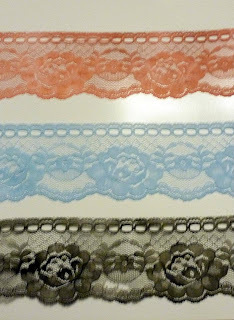 You will notice that the girls have used the beautiful lace that Martha provided us! 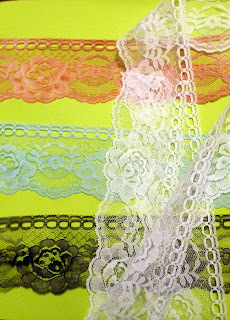 Lace is just one of the things you will find in her fun store! I did TWO Projects this week! Above is my first one! It's with a soft Blue added to the ribbon! I used Chalk-Ah-Lot Powdered Chalk with water mixed in a spray bottle and sprayed on and dried for these! This one is with some of the Red Powdered Chalk mixed with Water and Sprayed! I also made some stencil-like designs on the paper while spraying that I might use for future projects! Here you can see the original Ribbon! It's White and what I did with 3 different colors! I'm saving the Black one for another project, too! 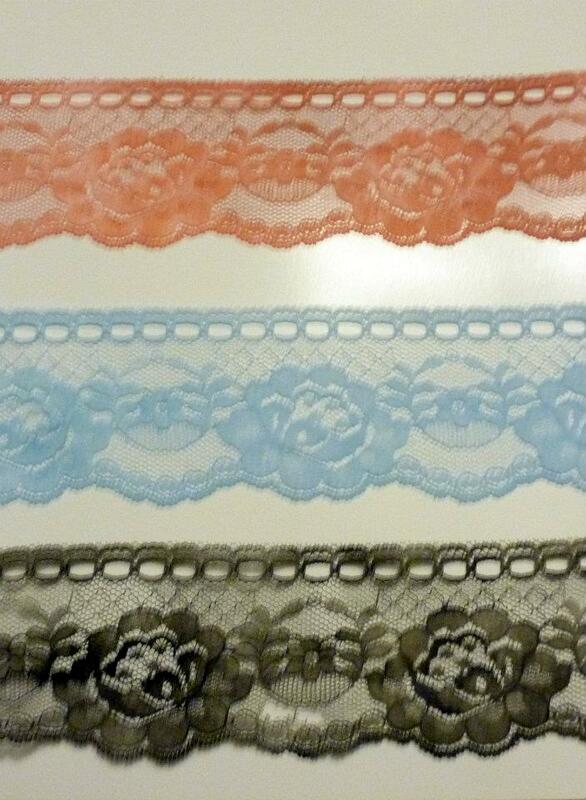 And here are the ribbons against each other and on white backing! I had FUN with this project! The powdered chalk with water sprayed and STAYED really well on the ribbon! Chalk N Stock FIRST Blog Hop! Our first challenge opens on June 1st and we are excited! For today's blog hop we have just a few rules! Please stop at each design teams blog and leave a comment. Please, if you are not already become a follower! You MUST be a follower in order to win prizes! 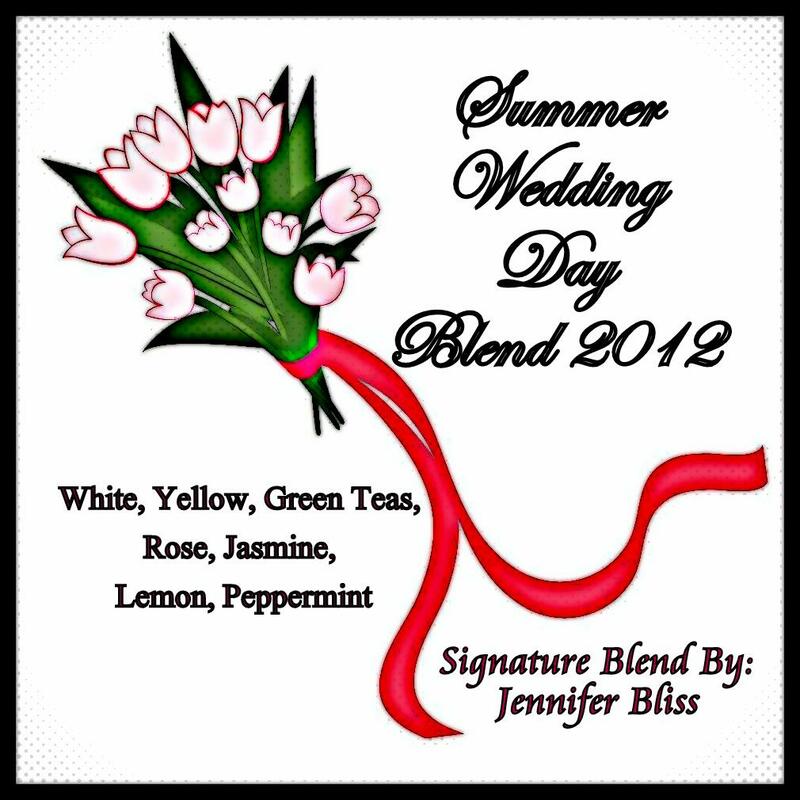 The blog hop's winners will be announced on June1st with our first challenge! Here is the order of the hop! Katie - GO HERE NEXT!!!!!!! Here's My Project for today! This is one of my HAPPY Mistakes Projects! I used chalk with White Acrylic Paint to change the color slightly. I stamped another image and it didn't quite work out so I smeared it then I stamped a different image 3 times and added gems to the flower parts. I ended up adding a little Jewel It for textures thru-out, too! The base paper is a blue cardstock so it shows a little bit but not much. The Stamps were Close To My Heart and the Chalk was Chalk-Ah-Lot Powdered Chalk. 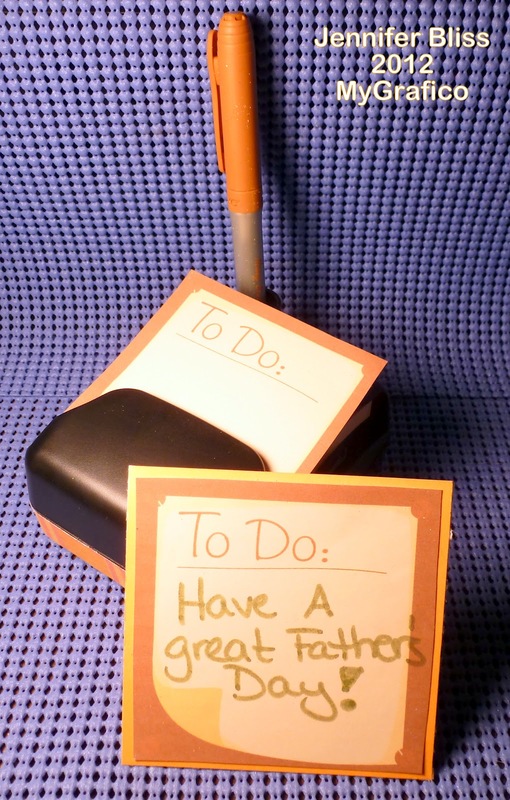 This week I did an altered Post-It Note Holder with Pen and card! A bit different for me but FUN and EASY! SMILE! It's Tuesday! At least it's NOT Monday still, eh? Here's a card I did early this morning! I didn't feel like moving much last night...still recouping from the crazy weekend! Anyhow! I used Chalk-Ah-Lot Powdered Chalk with Alcohol Inks and Water Spritz to get this marble look on the glossy photo paper. 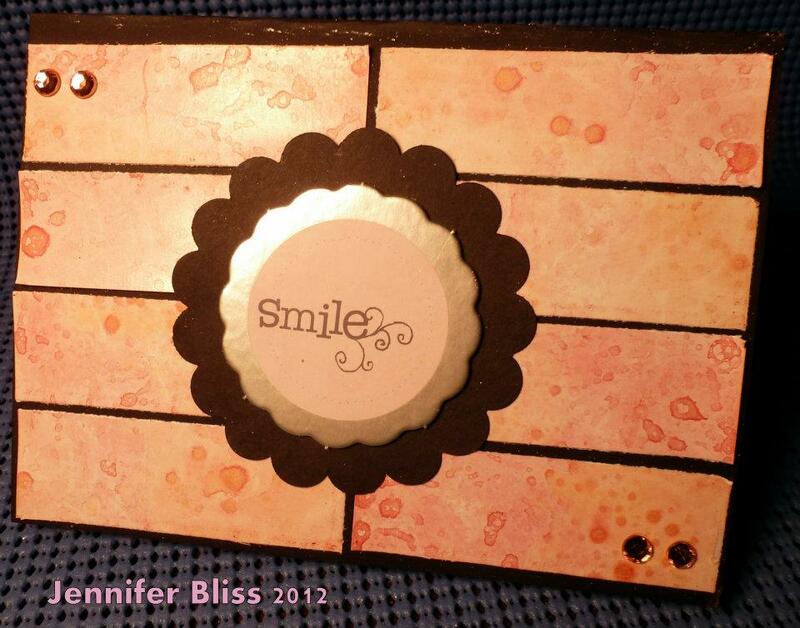 I used Black Cardstock for the base as well as the punched paper. I added a random chipboard piece and added Sticko Gems!